Frankfurt-based sentix, a leader in the emerging field of behavioural finance, has been compiling sentiment indices since 2001 by surveying more than 4,500 institutional and private investors. 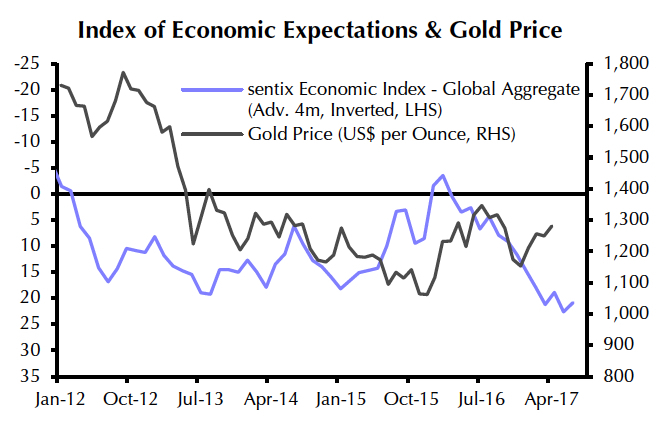 The latest reading of the sentix index of economic expectations spells trouble for the gold price. The recent rally in the price of gold appears to have been driven by safe-haven buying, as evident from the close relationship between the price of the yellow metal and the Japanese yen, another safe-haven asset. 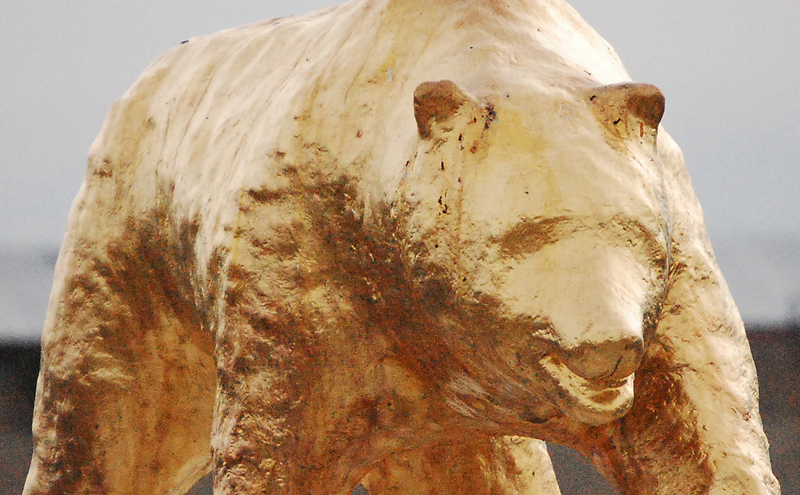 Heightened geopolitical tensions, the triggering of Article 50 in the UK and concerns about the rise of anti-EU parties in the euro-zone have boosted investor interest in gold. We acknowledge that political tensions could periodically support the price of gold this year. However, we doubt that any gains can be sustained given the prospect of rising US interest rates and the associated appreciation of the dollar that we project. Indeed, we forecast that the price of gold will fall to $1,050 per ounce by end-2017. This appears consistent with market expectations for global economic activity. 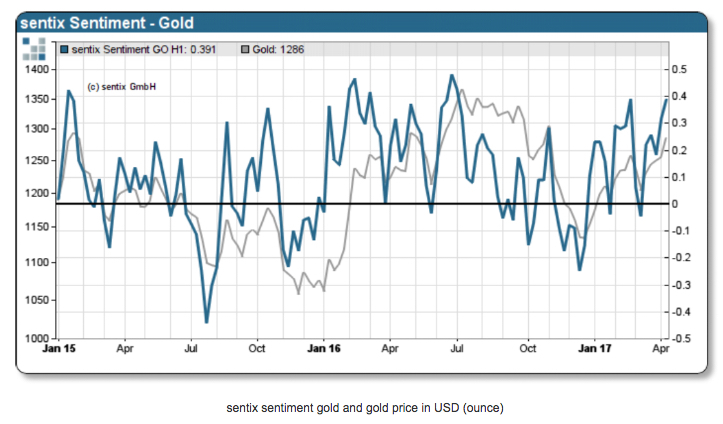 In a blog post published last week sentix gold sentiment survey among 1,100 retail and institutional investors showed positive sentiment towards gold reaching its highest point for 2017, and the best level since July last year. Sentix also ascribes the gold bullishness to safe haven buying, but warns that that "overheated" positive sentiment is a contrarian indicator and when greed tops fear in a market to this extent it leads to corrections or top-level forming. The survey was conducted between 13 and 15 April when gold hit a five-month high within shouting distance of $1,300 an ounce. Late on Thursday, gold for delivery in June was exchanging hands for $1,265 an ounce, down slightly from Wednesday's close.